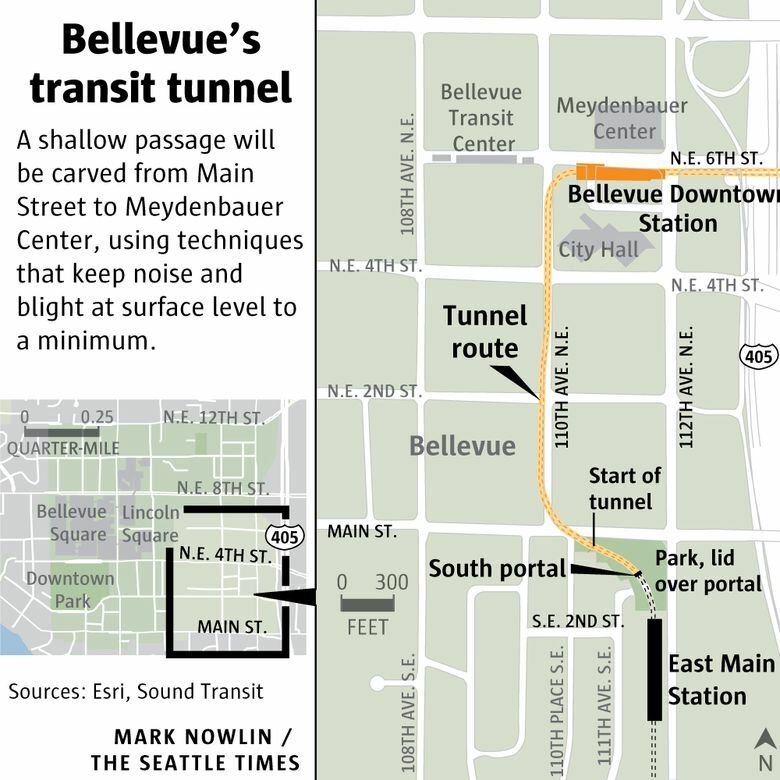 Digging has begun on Bellevue’s future downtown transit tunnel, but there’s no Bertha or any other submarine-like giant drill with a famous nickname. Digging has begun on Bellevue’s future downtown transit tunnel, but there’s no Bertha or any other giant drill with a famous nickname. Instead, the team will use ordinary construction machines with carving attachments — and occasionally handheld power tools — to dig the tunnel. 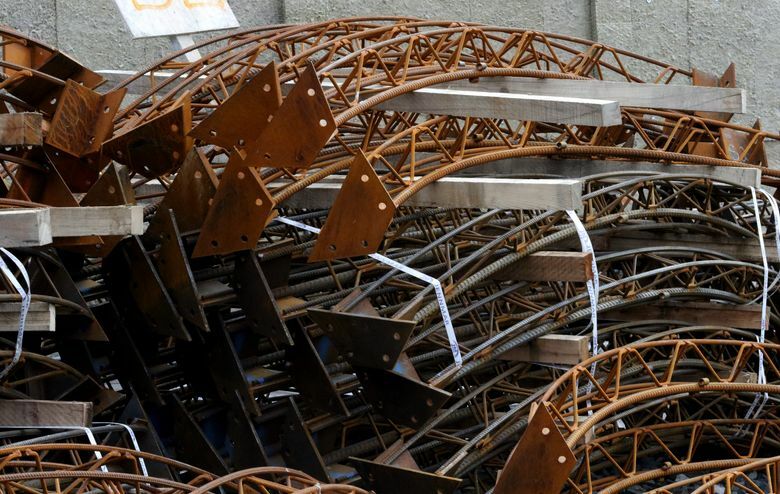 Every four feet, they’ll stop to spray fast-drying concrete before the soil crumbles, insert a steel lattice shaped like an arc, and spray more concrete into the lattice. Atkinson Construction says it will need two years to go about 10 blocks, from Sound Transit’s planned East Main Street Station to the Bellevue Downtown Station. Then another year is needed to construct the final, impermeable tunnel wall. Train service for the full $3.9 billion East Link route, connecting the International District/Chinatown Station in Seattle to Mercer Island, Bellevue and Overlake, is aimed for June 2023. After years of route debate and engineering, the digging got underway early this month behind noise walls on the corner of Main and 112th Avenue Southeast. 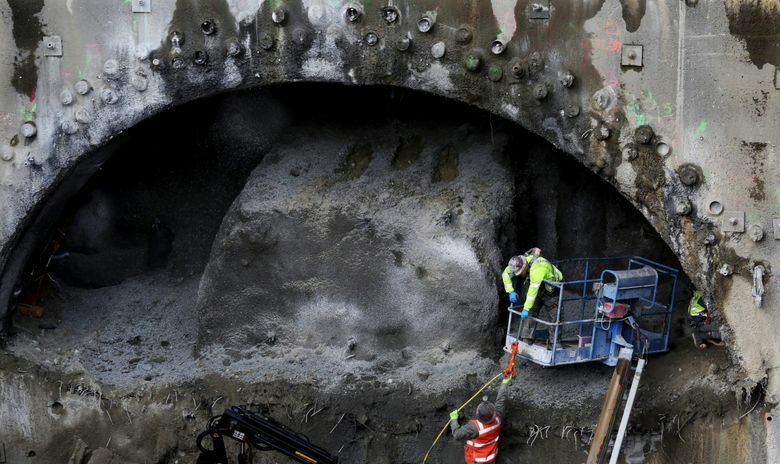 Sound Transit chose a tunneling strategy called sequential excavation mining instead of its familiar method of drilling twin 21-foot-diameter tubes with rotary boring machines. Such machines recently traveled from Northgate to Husky Stadium, to create a light-rail extension by 2021. In Bellevue, the sequential mining technique was picked mainly to keep construction disruption downtown to a minimum. “One of the priorities was keeping Bellevue moving while we were under construction,” said Ron Lewis, East Link executive director. 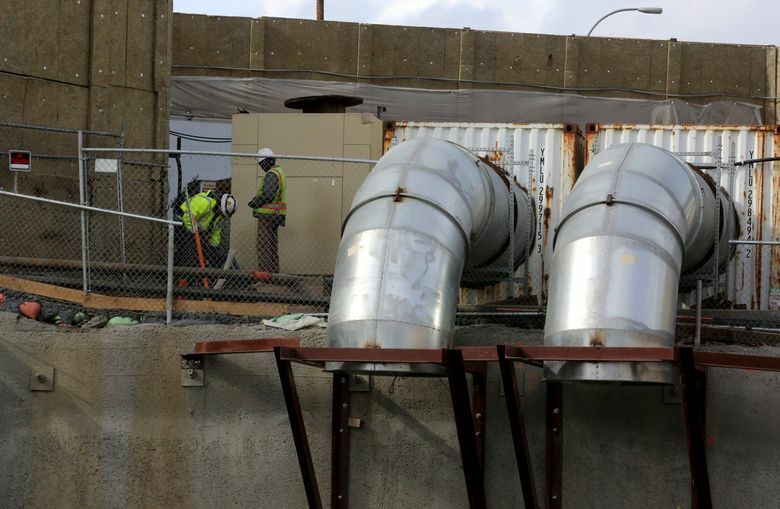 A cut-and-cover tunnel would have required expensive relocation of utility pipes and wires, he said, while tearing into an intersection of busy Northeast Fourth Street. More dirt would have been removed, requiring more dump trucks and noise. Boring machines would be expensive, and more space would be needed to assemble the machines and move soil via conveyor belts to the dump trucks. Sequential mining creates its own risk — that the exposed dirt will collapse a shallow distance below the street and buildings. 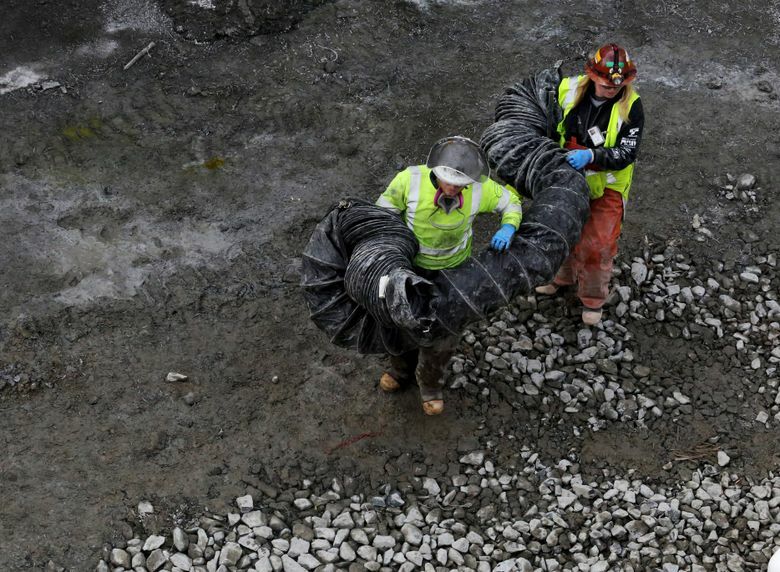 But workers can see trouble right away, as opposed to using a tunnel drill, which is somewhat blind and reliant on buried monitoring devices to find voids in the soil. 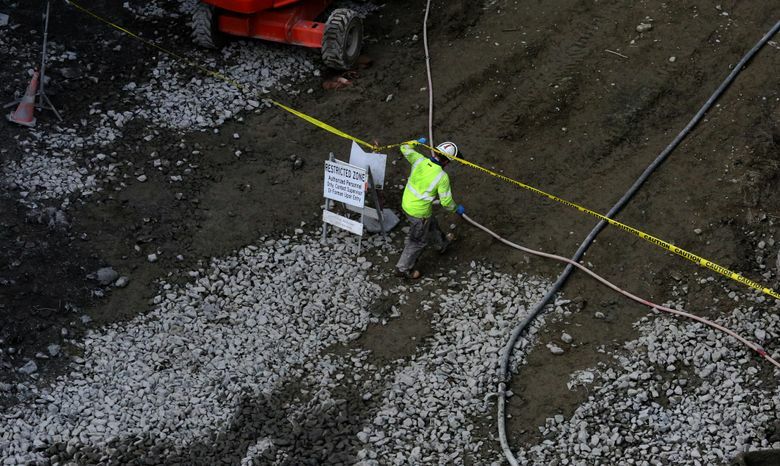 As an added safeguard, workers excavated about 40 feet down and replaced soil next to City Hall last summer with lightweight concrete, said Chad Frederick, a Sound Transit construction manager. 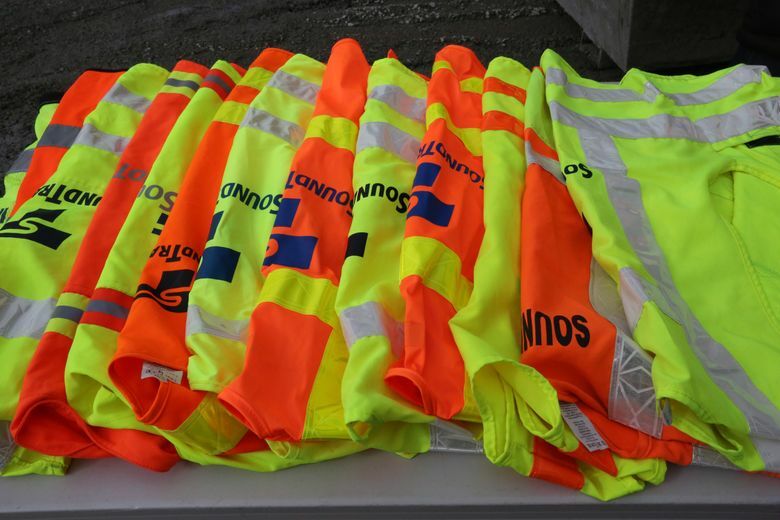 That work included steel braces and concrete support around sewer pipes, telecommunications and power-line ducts. This winter’s weather slowed early work by about three days. 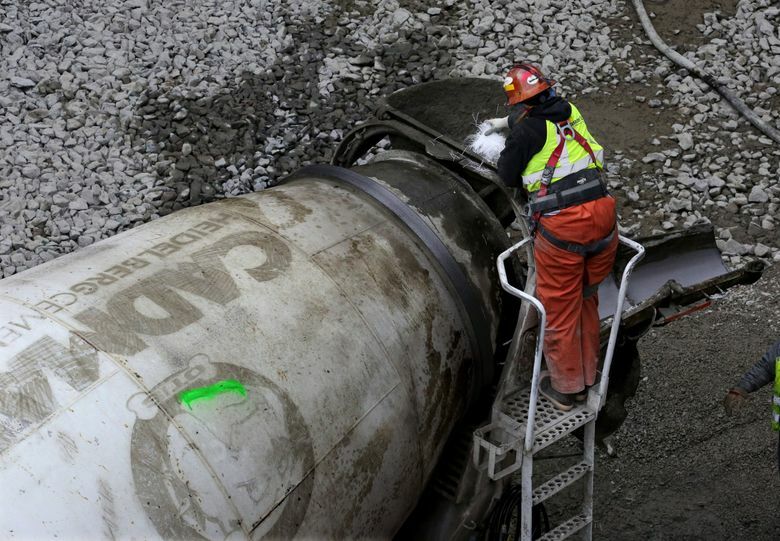 The main challenge was temperatures 4 degrees below normal, which made the rapid-drying concrete harder to apply, said Bob Adams, an Atkinson vice president. The glacially compressed soil about 40 feet below Main Street has stayed cohesive so far, in the first few feet of excavation. But if dirt does start to fall, workers keep steel plates nearby to contain it. The plates would be pressed upward against the falling soil, then fastened to already-finished concrete walls nearby, Frederick said. It took years of engineering and politicking to get the job started. 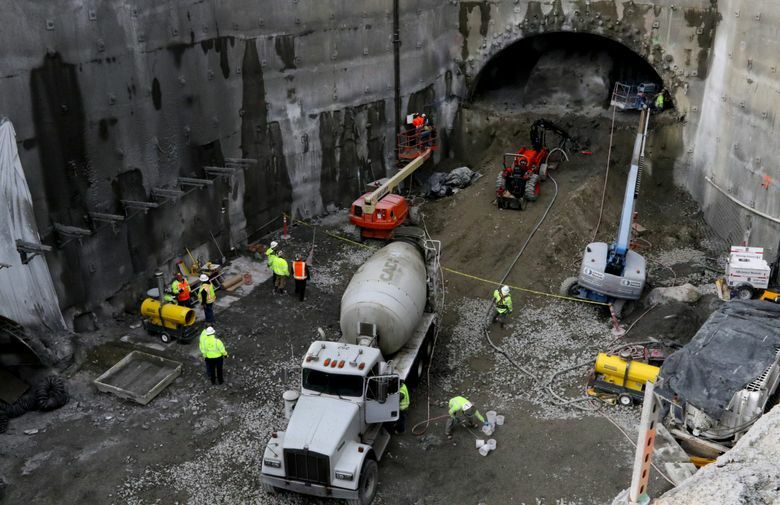 A downtown tunnel and stations initially were thought to require an extra $320 million, compared with a conceptual elevated route in the 2008 Sound Transit 2 ballot measure. The elevated route was considered a placeholder while the ST2 campaign was underway. 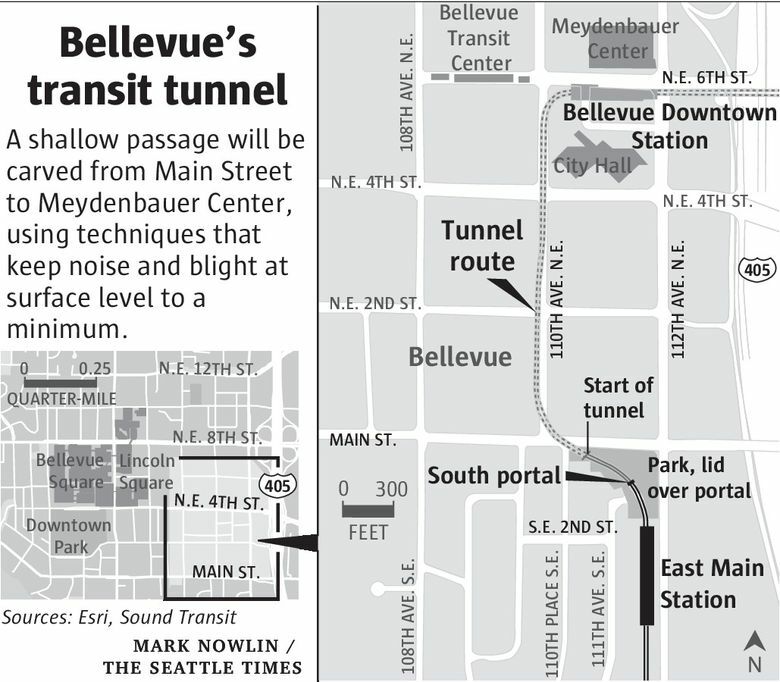 “We always wanted a tunnel,” recalled Conrad Lee, of the Bellevue City Council. The uncertainty led to tense negotiations after the election between the City Council and transit executives. They eventually agreed on a shorter, shallower tunnel route that saved about $200 million, the city says. Bellevue agreed to contribute land as part of its share. Instead of a station in the center of downtown, the city accepted a site east of Bellevue Transit Center along Northeast Sixth Street, to save money. The station near City Hall and office towers will be mostly open-air, with shelters for waiting passengers. Trains will emerge from the hillside toward an I-405 overcrossing. The city wanted a spot closer to Bellevue Square Mall, and “an actual subway station would have made the most sense,” City Councilmember Jennifer Robertson said. That would have avoided the need for arriving passengers to walk across busy 110th Avenue Southeast to reach downtown, the mall, and hotels and offices nearby, she said. But development is also increasing on the east-downtown fringe close to the light-rail stop, she said. 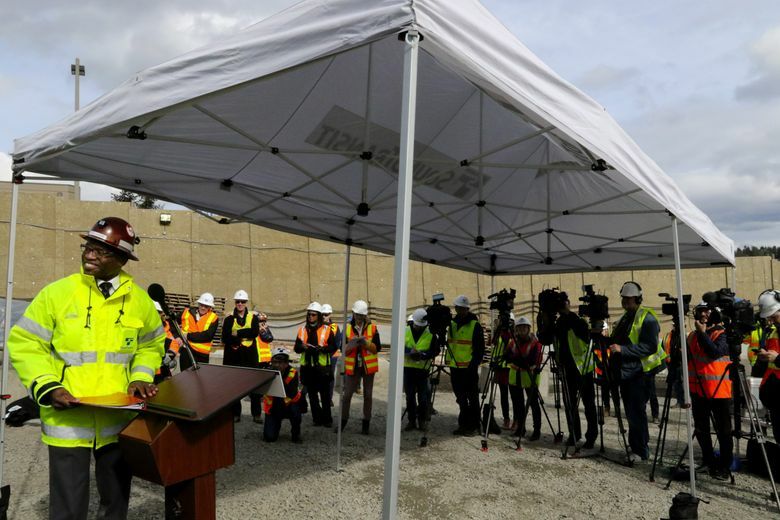 Meanwhile in Seattle, the tunnel-boring machine Berthapassed the 8,000-foot mark this week on its mission of building a 9,270-foot-long, 57-foot-wide Highway 99 tunnel from Sodo to South Lake Union. That roadway is to bypass downtown in 2019, followed by demolition of the old Alaskan Way Viaduct. 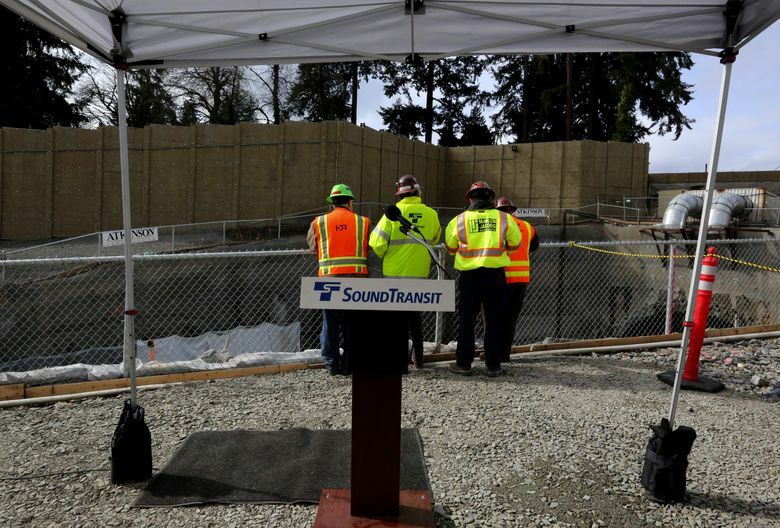 And March 19 marks the first anniversary of the transit tunnel from Westlake Station to Capitol Hill and the University of Washington, where tunnel drills were named after Togo and Balto, two of the famed huskies that carried lifesaving diphtheria serum to Nome, Alaska, in 1925. Sound Transit has since gotten out of the business of nicknaming giant drills after people and animals.